Stepper motors are DC motors that move in discrete steps. They have multiple coils that are organized in groups called "phases". By energizing each phase in sequence, the motor will rotate, one step at a time. With a computer controlled stepping you can achieve very precise positioning and/or speed control. The DM320C is a versatility fully digital stepping driver based on a DSP with advanced control algorithm. 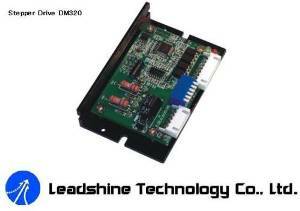 The DM320C is the next generation of digital stepping motor controls. It brings a unique level of system smoothness, providing optimum torque and nulls mid-range instability. Motor self-test and parameter auto-setup technology offers optimum responses with different motors and easy-to-use. The driven motors can run with much smaller noise, lower heating, smoother movement than most of the drivers in the markets. Its unique features make the DM320C an ideal solution for applications that require low-speed smoothness. The M542 is an economical microstepping driver based on patented technology of Leadshine. It is suitable for driving 2-phase and 4-phase hybrid stepping motors. By using the advanced bipolar constant-current chopping technique, it can output more speed and torque from the same motor compared with traditional drivers, such as L/R drivers. Its 3-state current control technology allows coil currents to be well controlled and with relatively small current ripple, therefore less motor heating is achieved. The MA860HH is a high performance microstepping driver based on pure-sinusoidal current control technology. 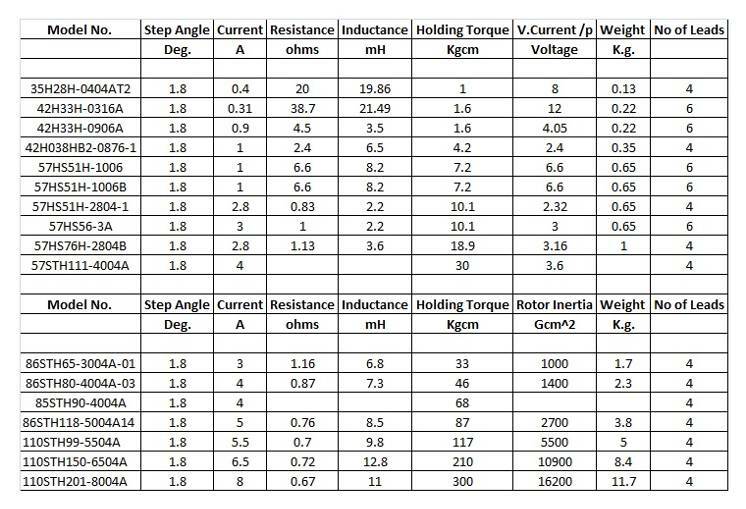 Owing to the above technology and the self-adjustment technology (self-adjust current control parameters) according to different motors, the driven motors can run with smaller noise, lower heating, smoother movement and have better performances at higher speed than most of the drivers in the markets. It is suitable for driving 2-phase and 4-phase hybrid stepping motors. 6N137 high-speed OptoCoupler , to ensure a high speed without step out. 2) Compatible with MACH3, Linux CNC (EMC2) etc. parallel-control CNC software. 3) USB power supply and peripherals powered phase are separated to protect computer security. 4) All the signals are opto-isolated which can protect your computer security. 5) 5-input interface to define the Limit, Emergence-Stop, Cutter alignment, etc. 6) Wide input voltage range: 12-24V, and with anti-reverse function. 7) One relay output control interface, accessed by the spindle motor or the air pump, water pump, etc. 8) Output 0-10V analog voltage for inverter to control the spindle speed.